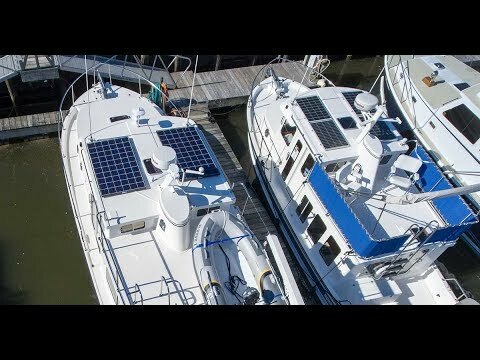 We get this question a lot and it all depends on what type of boat you have and how much solar “real estate” you have available. The first consideration is shadows. If you own a sailboat, your biggest concern will be the shadows cast by the mast, boom and rigging. 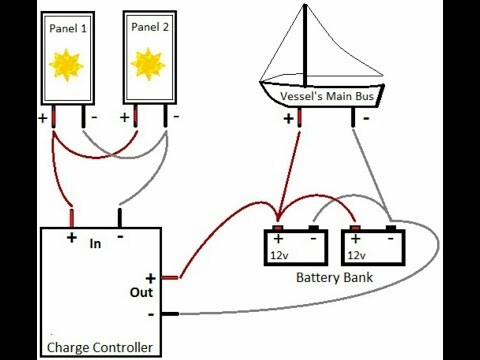 On a powerboat, you will have to consider the arch and antennas. The best place to start is to determine how much space you want to cover in panels and then purchase the panels to fit the space. 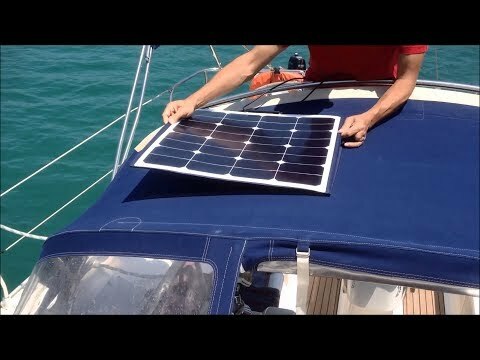 On a sailboat, canvas dodgers and biminis are a great place to install flexible solar panels as they can be sewn directly into the fabric. If you have a large hardtop, it is possible to glue flexible panels directly on the surface. If you choose to go with rigid panels, then you will have to build a frame or support to ensure that there is good airflow between the panel and the structure. This is not required for flexible panels. When the sun is directly overhead, the rays are the most direct and instense. As the sun becomes lower in the sky, the same area of light covers a larger area of Earth, the intensity decreases and the solar panel output decreases. 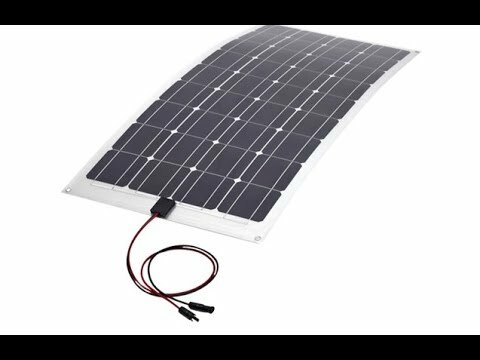 There is a solar angle calculator that tells you the optimum angle to get the most energy from your panel. Take your latitude and add 15 degrees for the winter, or subtract 15 degrees for the summer. 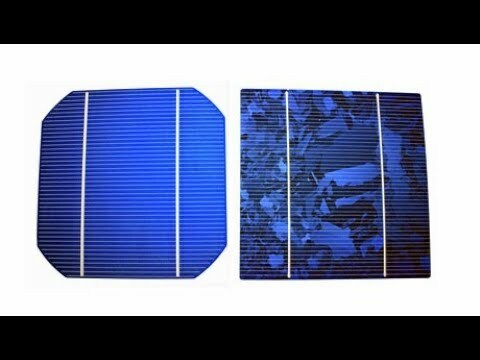 For example: if your latitude is 50 degrees, the angle you want to tilt your panels in the winter is: 50 + 15 = 65 degrees. In the summer, it would be: 50 - 15 = 35 degrees. Of course, this calculation varies based on your location in the world and the season. 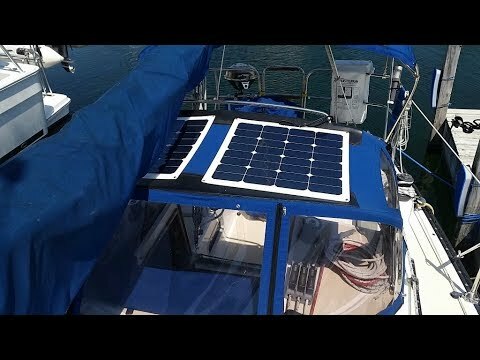 You can actually buy an automated solar tracker but they are expensive and impractical on the water especially if you are anchored. 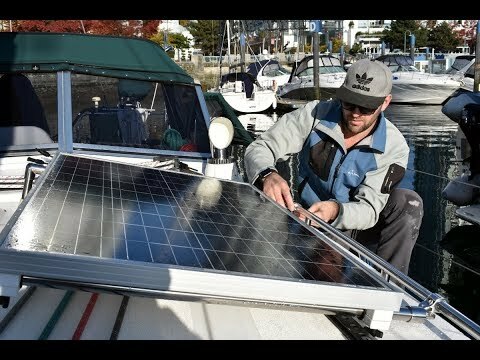 Some boaters who have chosen not to permanently install solar panels, and simply attach them to a railing or lay them on the bow, will actually move the panels throughout the day. This is a big responsibility and many boaters just simply forget.